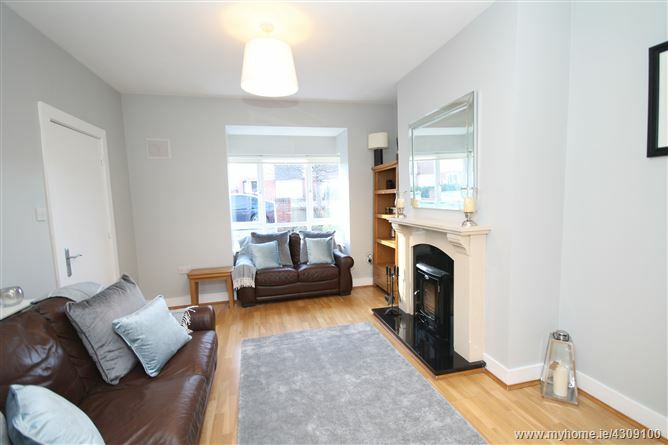 SUPERB SEMI-DETACHED 3 BEDROOM RESIDENCE WITH ATTIC CONVERSION. 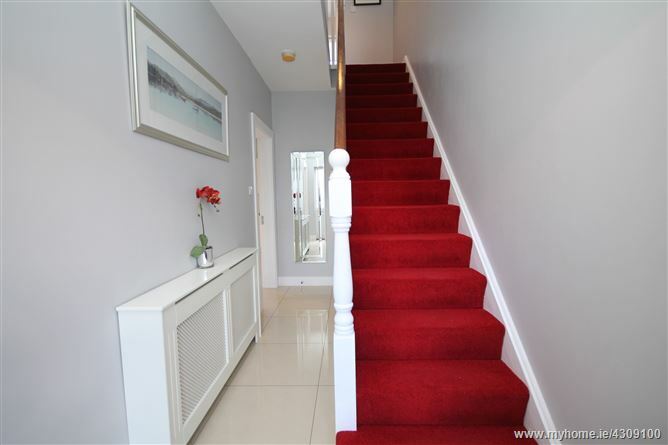 Curragh Grange is a modern residential development of semi-detached and detached homes located between Green Road and the Athgarvan Road only a short walk from the town centre. 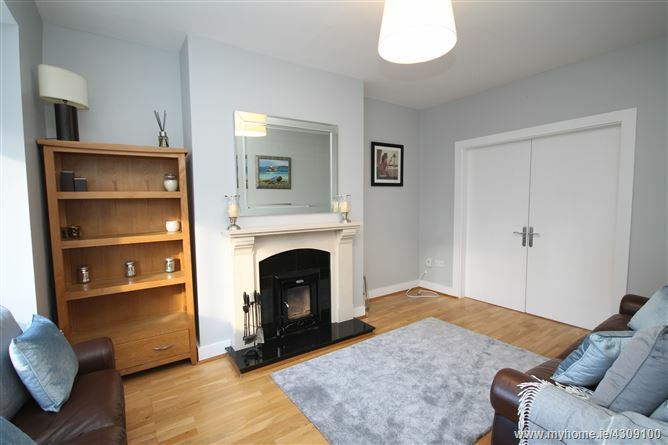 Situated in a cul-de-sac in the development built by Ballymore Properties in 2004 the development boasts a neighbourhood centre with Centra Convenience Store, Pharmacy and Hairdressers. 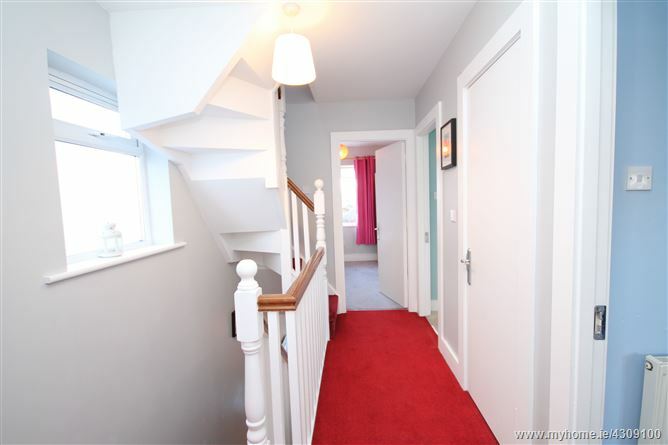 The house is presented in excellent condition throughout containing c.1,275 sq. ft. (c.118.45 sq. 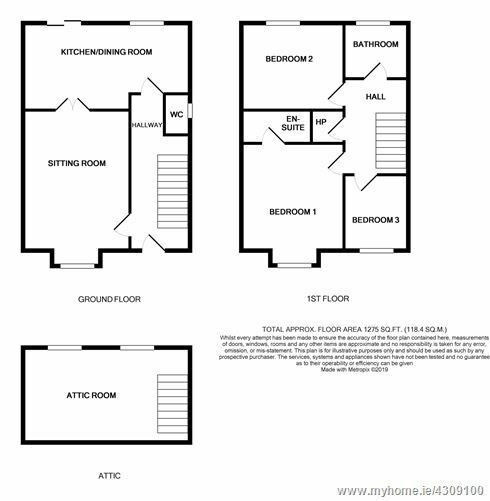 m.) of accommodation with gas fired central heating, PVC double glazed windows, Stanley insert stove and attic conversion. •	c.1,275 sq. ft. (c.118.45 sq. m.). 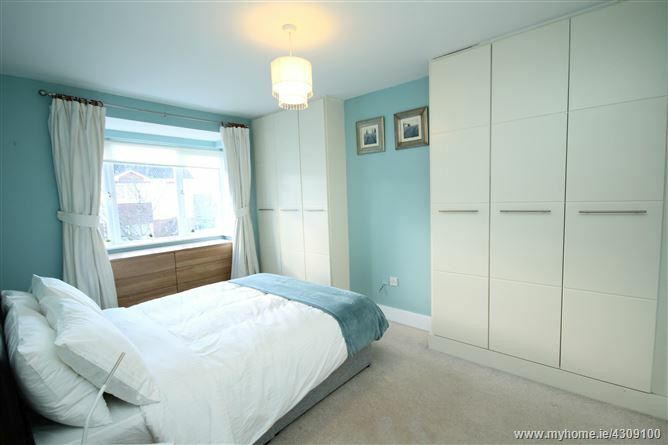 With polished porcelain tiled floor and radiator cover. 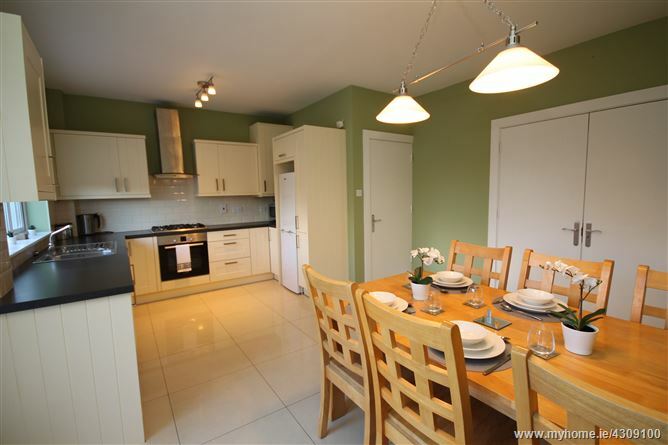 With polished porcelain tiled floor, cream built-in ground and eye level presses, s.s. sink unit, tiled splashback, Bosch electric oven, gas hob, integrated Smeg dishwasher and extractor unit. 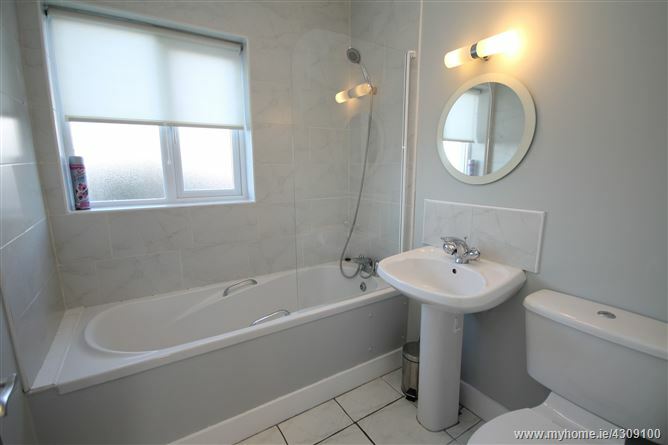 w.c., w.h.b., bath with shower attachment, tiled floor and surround. 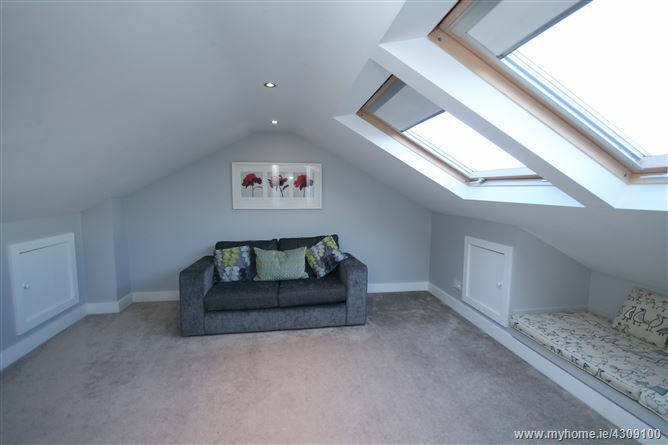 Into bay window with range of built-in wardrobes. w.c., w.h.b., double shower and tiled floor. Bedroom 2: 3.4m x 3.2m. With recessed lights and eaves storage space. 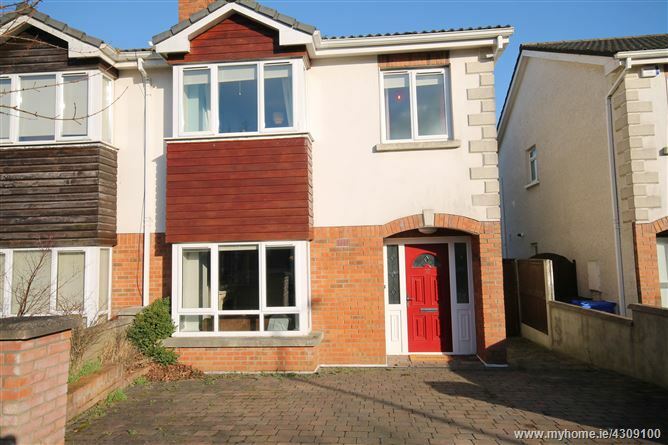 Approached by a cobble loc drive to front, side access with gate, large rear garden mainly in lawn with paved patio area, outside tap and 2 barna sheds. .
Mains water, mains drainage, refuse collection, gas fuel central heating and alarm. Carpets, curtains, blinds, lightfittings, oven, hob, extractor, integrated dishwasher, fridge/freezer, sofa bed in attic room, swings and 2 barna sheds.